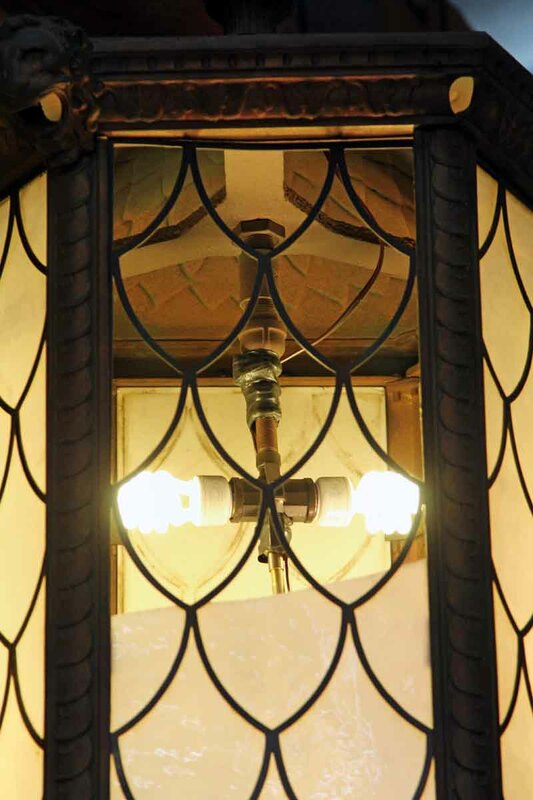 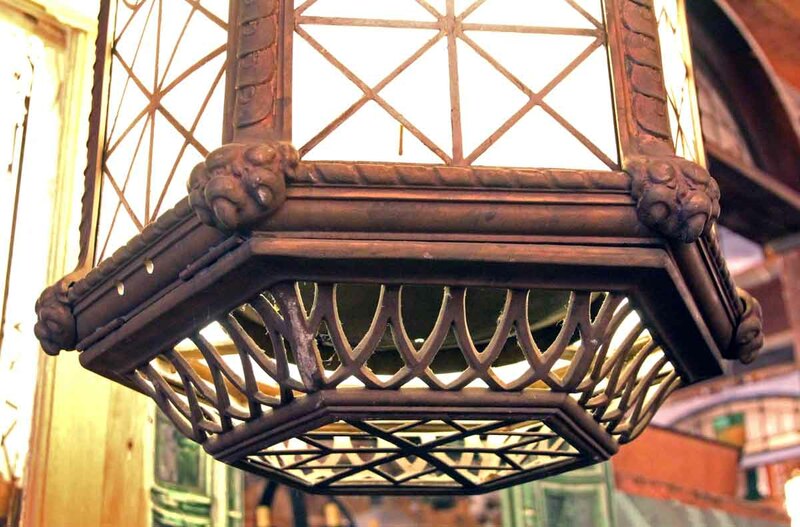 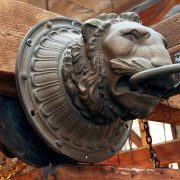 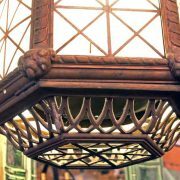 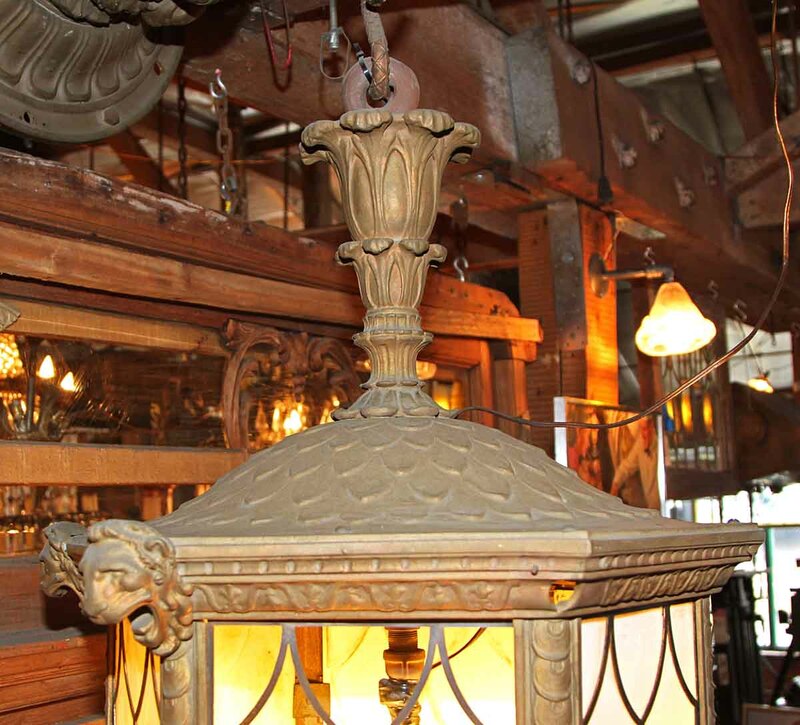 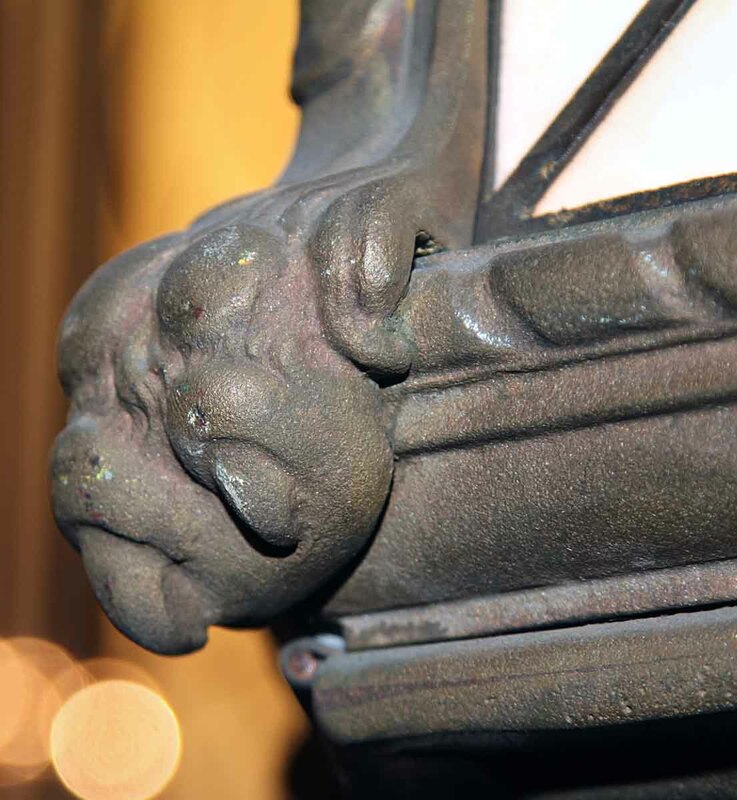 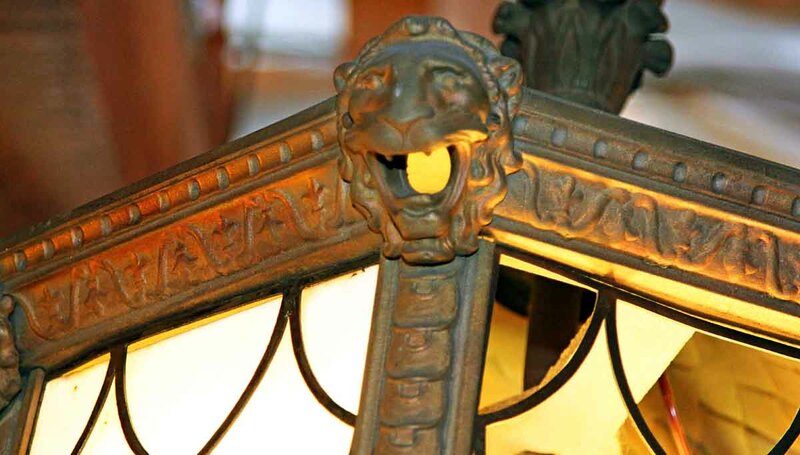 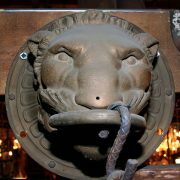 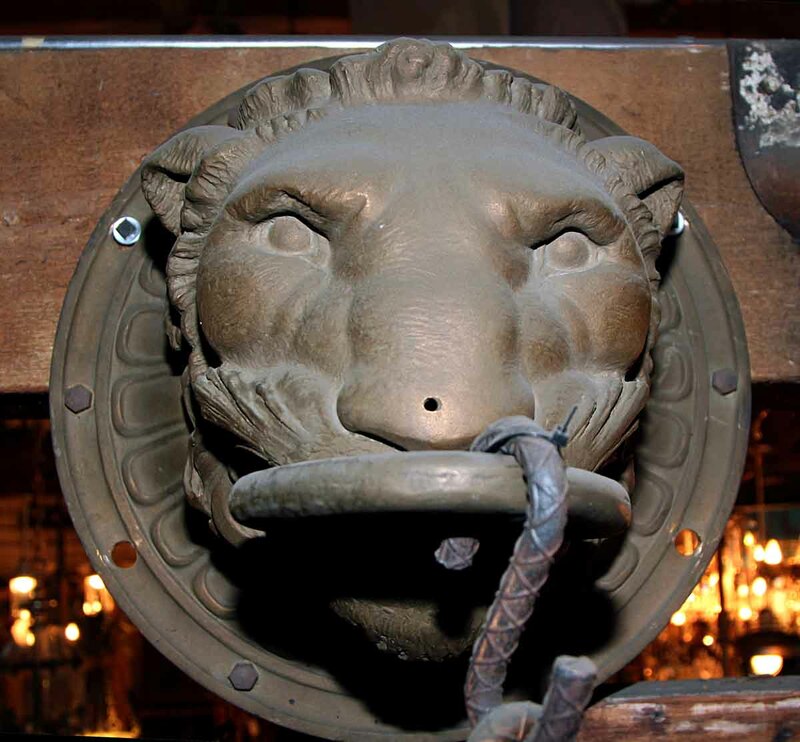 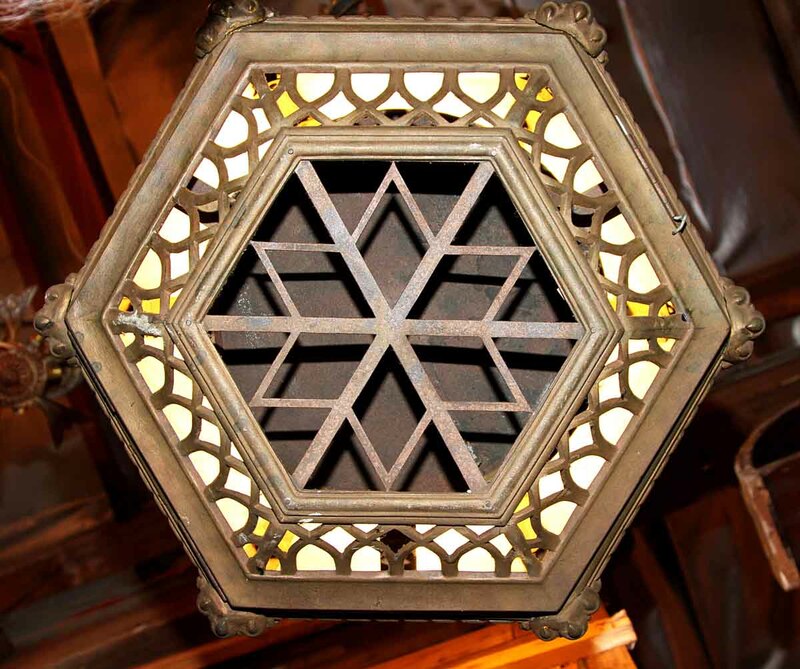 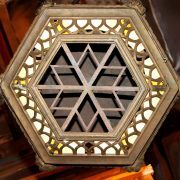 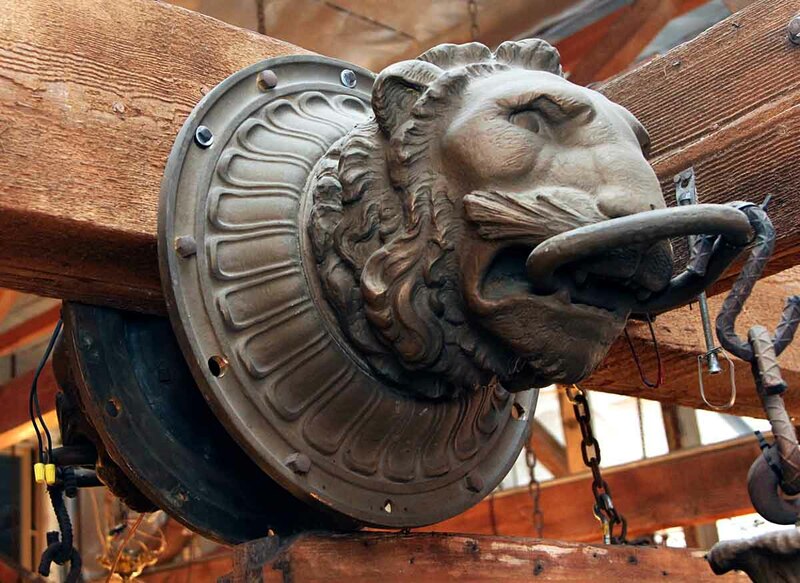 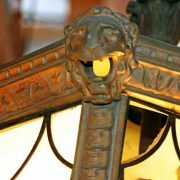 These oversize bronze lion lantern sconces are from Blackie’s restaurant in Washington DC. 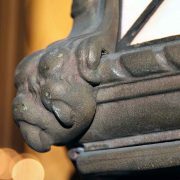 Some of the lion corner accents are missing. 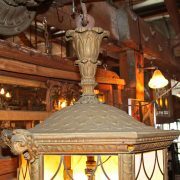 There are wo lengths of bronze chain, 24 in. 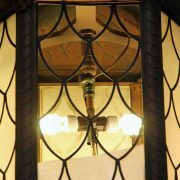 long each also included. 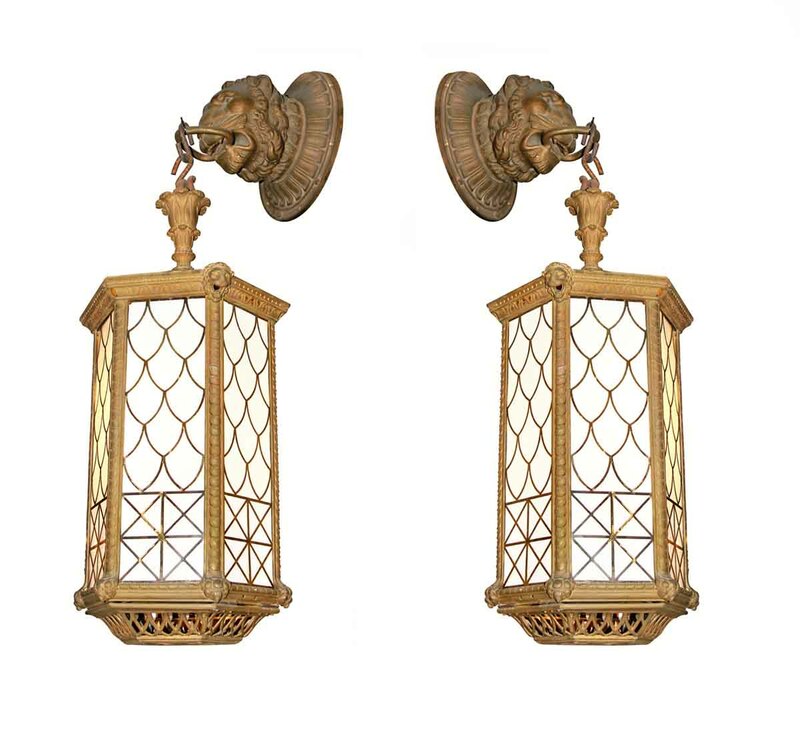 Priced per a pair.